This comedy parodies every English mystery play ever written, but with a decidedly American flair. Miss Maple, a dowager with a reputation for "clever" weekend parties, invites a group of detective writers to eerie Ravenswood Manor on Turkey Island, where they're going to impersonate their fictional characters. The hostess has arranged all sorts of amusing incidents. Then a real murder takes place, and Miss Maple is outraged. She offers an immense reward to the "detective" who can bring the killer to justice. 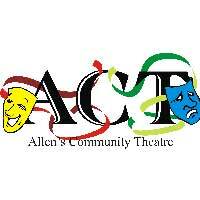 See The Butler Did It at Allen's Community Theatre.